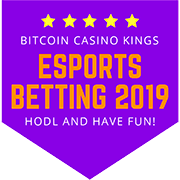 eSports Bitcoin Betting Sites (2019) - Bet CS:GO, Dota 2 and more! Here you can find all the best eSports Bitcoin betting sites we recommend. 1xBit offers very good first deposit bonus of 100% up to 1 BTC – for casino and sports betting. Sportsbet.io has a nice welcome offer: bet 2 mBTC – Get 6 mBTC free bet! If you want the best selection of eSports games, we recommend 22Bet. Let’s take a closer look to these eSports crypto betting sites! eSports (also known as electronic sports, e-sports or Esports) is a form of competitive sport using different popular computer games. The competitions can be multiplayer events with two teams competing against each other or the events can be between two or more individuals. eSports betting can bring some extra excitement to watching your favourite e-sport events. You can place bets on for example these popular games – now also with Bitcoins and other cryptocurrencies. Many of these sites offer also the possibility to place bets on regular currency like US Dollars or Euros. For example Sportsbet.io will accept Euros also besides cryptocurencies. My first memories about Counter Strike are from the year 1999 or 2000. On June 19, 1999, the first public beta version of Counter-Strike was released. Back then the game was an add-on to a popular 3D shooter Half Life. Internet gameplay wasn’t possible back then so the games were run on local networks, LAN’s. Oh boy we used to play a lot and it was so fun! Since then Counter-Strike has evolved to CS:GO and is one of the most popular eSports games. 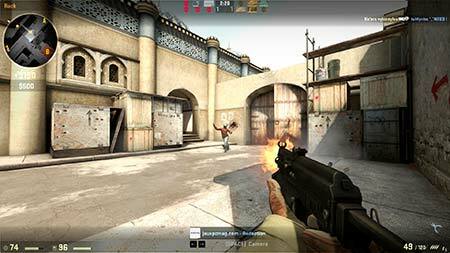 In the game a team of counter-terrorists battle against a team of terrorists. Each round is won either by completing an objective or eliminating the members of other team. The objectives can be for example detonating a bomb or rescuing hostages. Dota 2 is a multiplayer online battle arena (MOBA) computer game developed by Valve. The game is a sequel to DotA (Defense of the Ancients), which was a community-created mod or Blizzard’s Warcraft III: Reign of Chaos and its expansion pack. The game places two teams of 5 players against each other. Each team has their own base with a structure called Ancient. The first team to destroy the other team’s headquarter wins. So the game is all about defensing your Ancient and destroying the opponent’s HQ. A screenshot from DOTA 2 eSports game. Dota 2 is played by millions of fans all over the world from North America, Europe to Asia. 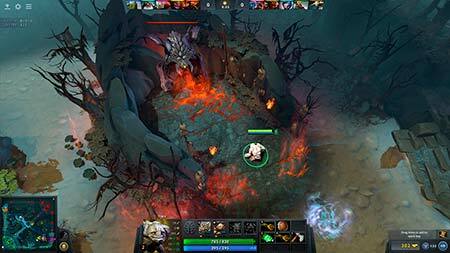 If you want to bring more excitement to watching games, Dota 2 betting is supported in many sportsbook sites. League of Legends (shortly LOL) is a multiplayer online battle arena computer game developed by Riot Games. 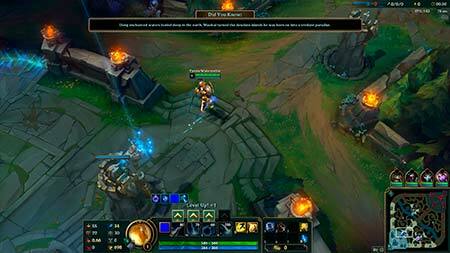 In the game players assume the role of a summoner that controls a champion with unique abilities. They battle against a team of other players. The goal is usually to destroy the opposing team’s nexus, a building that is located in the heart of a base protected by defensive structures. LOL was published originally in 2009 and has since grown in popularity. In September 2016 there are estimated to be over 100 milion active players each month. There are many competitive events and you can do League of Legends betting in many eSports sportsbook sites. A screenshot from the eSports game League of Legends (LOL). This was our article about the best Bitcoin eSports Bitcoin betting sites. This page is continously updated and more eSports betting sites and supported games are coming here soon.